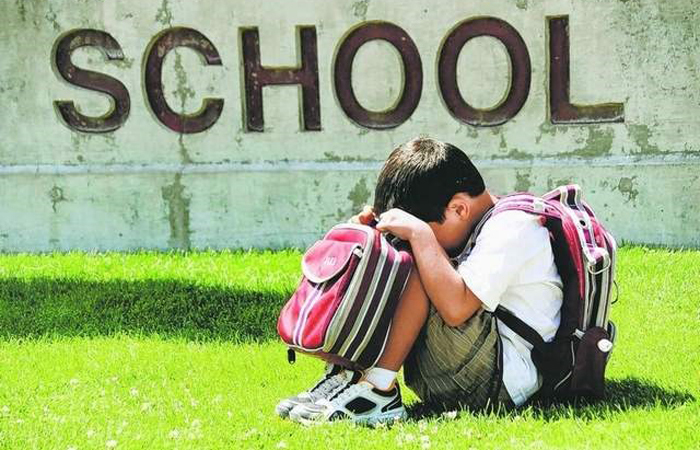 With the start of the school year right around the corner, one of FIU’s child anxiety experts, Jeremy Pettit, shares red flags parents can spot as signs of school anxiety. Trouble with sleep as the start of the school year approaches. Sometimes this is just normal excitement about the beginning of a new school year. However, if it’s accompanied by other behaviors on this list, it may be a sign of anxiety. Repeated requests for assurances that everything will be okay at school. For example, children may ask for reassurance that they won’t fail, that their teacher will be nice, that other kids will like them, etc. Excessive checking (and rechecking) to make sure all school materials and supplies are in order. Checking the supplies once or twice is normal, but checking constantly to the point it becomes excessive, may be a problem. Excessive repetition of directions, schedules, rules, etc. to make sure they can be followed exactly. Again, the key word here is excessive. Going over the rules once or twice for understanding is normal, but continued focus on rules and schedules can be a sign of anxiety. Physical complaints. Headaches, stomachaches and even vomiting before bedtime or in the morning are common signs of anxiety about school. Irritability or mood swings as the start of school draws near. Like the first item on the list, this behavior can occur for many reasons and anxiety about school is one of them. Social withdrawal and/or refusal to talk about school. Shutting down and refusing to talk about school is especially common among older children and adolescents who are anxious. Once the school year starts, defiant refusals to go to school, pleas not to be taken to school, or calls to be picked up early from school. If this starts to interfere with your child’s performance in school, seek the help of a professional. According to Pettit, some anxiety prior to the start of school is normal. In most cases, the anxiety will fade away over the first few days of school as children settle into a routine and become comfortable with their new teachers and classmates. If the anxiety persists or if it interferes with daily functioning, it’s time to seek help. The Child Anxiety and Phobia program at FIU’s Center for Children and Families (CCF) provides comprehensive diagnostic assessments and state-of-the-art treatments for children and adolescents (6-17 years old) who are experiencing excessive fear and anxiety related problems. Services – in English and Spanish – are also available for children and adolescents who are experiencing depression. As a CCF researcher, Pettit is currently working on a new clinical trial of a brief computer-based treatment for children with mild to moderate levels of anxiety. For information, visit capp.fiu.edu or call 305-348-1937. For tips on how to manage back to school anxiety and fears, click here. Pettit specializes on the course of depression, anxiety and suicidal behaviors over time. His research includes interpersonal and cognitive factors that contribute to the onset, maintenance and recurrence of these behaviors. An expert in anxiety and depression, Pettit has written more than 80 scientific papers and received numerous awards and grants for his work in this area.